• When taking a taxi, insist that the driver turn on the meter; if he says no, wave him off and try another one. I know, I know, chances are it’s cheaper than at home, but if you pay higher prices, which are often scams, then it will raise the cost of living in the city, and the locals will suffer. • “Tours of Bangkok, for only 20 THB!” is a common phrase among tuk-tuk drivers in the city. This is a scam. You will be taken on a tour of his family and friends businesses, all of which the driver will earn a hefty commission if you buy something. If you are lucky you may also see a few insignificant landmarks that he says are the most important in Bangkok. Avoid these scam tuk-tuk drivers. 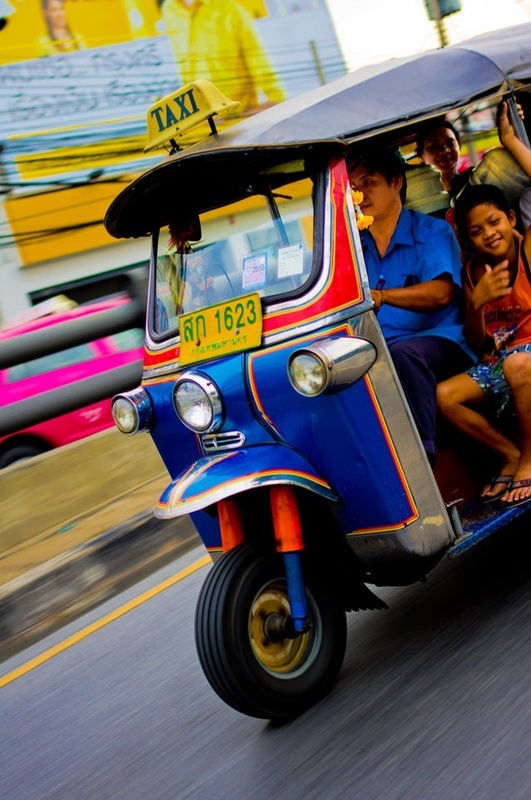 • Ask a local Thai who is working at your hostel or hotel what the price for a tuk-tuk, taxi or any potential purchase should be. Use that as a guide when bartering. A good rule of thumb is, if they allow you to walk away without purchasing, you increase your offer a little at the next stall or shop. • Be firm when bartering with tuk-tuk drivers. If it’s not going your way, walk away. If the price is too much, wave the driver off and try another one. If a driver sees that you have waved off a few tuk-tuks, he will know you mean business. 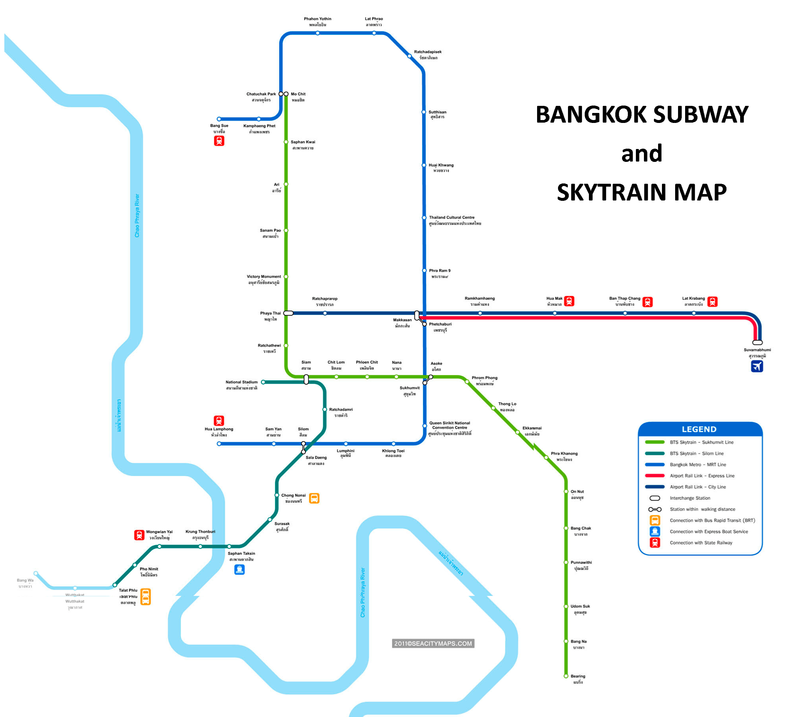 • If you’re in the Sukhumvit area of Bangkok, take the BTS (skytrain) instead of battling with taxi drivers and tuk-tuks. It’s cheaper, faster, a better view and scam-free! • Avoid hawkers for tuk-tuks in Patpong and on Khao San Road (as well as at places such as the Grand Palace). There are plenty of taxi drivers and tuk-tuks driving in this area, and finding an honest one is not as hard as you may think. • If your flight arrives after 11 pm, hire a taxi from the taxi stand, or walk out to a driver at the arrivals level. Make sure the driver is clear that you will pay no more than 500 THB at night, 400 THB daytime, including the toll fees for the highway. Many times I have made this trip with another person who was also waiting for a taxi and had a similar destination and shared the cost of the trip. I do not necessarily recommend this, it is merely suggested as an option for the more experienced traveller. Don’t get discouraged. Be brave and stand your ground, remember that being firm does not mean you need to be a jerk. In Thailand, the louder your voice becomes, the less your chance of winning the argument! Try to be patient and have some fun with it, you are on holiday now. 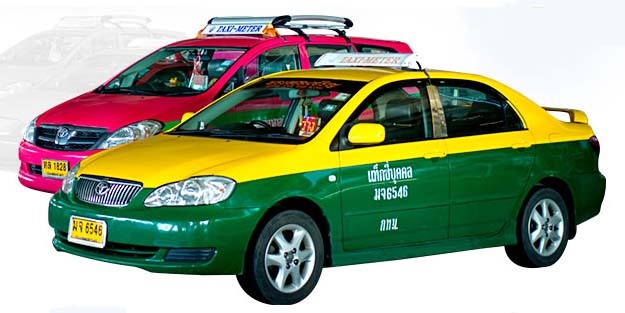 Taxi fares with a metered taxi will start with 35 THB on the meter and the fare should start to increase after 3 kilometres or a certain period of time has passed. The fare then goes up by roughly 5 THB per kilometre after a certain period of time, if caught in a traffic jam. Most trips within the main city area will be an average fare of around 50 – 60 THB. The most expensive trip, probably being to Suvanabhumi airport, will be around 350 to 400 THB if travelling from the centre of Bangkok, during the day. The fare is slightly more at night-time. Taxis will take you almost anywhere as long as it’s within their working period as most drivers have to return their cab at the end of their shift. This is the most common excuse given if your destination does not suit the driver at that time. Simply smile and ask the next taxi, there is no shortage of them. Bangkok, really is a fabulous city, but like all of the world’s large city’s, it can be home to scams and double standards. It is unfortunate that the small percentage of taxi and tuk tuk drivers, (who would scam their own Grandmother if given a chance) have such a negative impact on the vast majority of drivers, who are 100% honest, offer good service and genuine advice. Just be smart, be firm, use your common sense and remember “If it sounds to good to be true, then it probably is”!